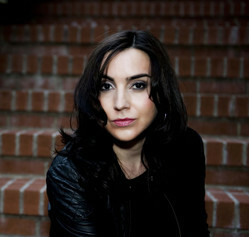 Lisa Ortiz is a New York based veteran voice actor, director and producer. Her career as a voice over artist began under the shroud of an attempted auto larceny gone awry. No really, ask her yourself. She'll tell you. She is most well known for her role as Lina Inverse in Slayers, and Amy Rose in Sonic the Hedgehog, but she began her career as the high elf Deedlit in Record of Lodoss War. Since then she has gone on to record dozens of anime, series, audio books, video games, and films both as a voice and as a Producer, Director, and Adapter. She is currently the director of Pokemon XY and has worked on the show in various capacities over the years since the Indigo League. Lisa has voiced many characters over the years: Misty's older sister Daisy, Sabrina, Flannery, Oshawatt, Fletchling, Litten, and present day gym leader Korrina. She can currently be heard as Noembelu in Street Fighter V, as well as on the Nickelodeon Show Royal Academy, amongst others. Her favorite roles include: Serenity Wheeler in Yu-gi-oh; Tony Tony Chopper in One Piece; Shiori in Revolutionary Girl Utena; Rina in Time of Eve; The Devil in Gangstar 4; Musa/Icy in Winx Club; Azalyn in The Irresponsible Captain Tylor; and Tsubasa Shibahime in His and Her Circumstances. Directing credits include: Psychic School Wars, Norm of the North, The Dark Knight Rises, Dungeon Hunter 5, and Netflix's Heroes United. She is President of Noise of O Productions, and currently resides in NYC with her fabulous feline Fitz; she does not own a car. Visit her website at www.lisaortiz.com.